In your short story, “The One You Feed,” you explore Native American folklore, racism, misogyny, etc. Are these issues something you’re interested in exploring in future works as well? And if so, to what extent? Why are they important to you? I attended the Institute of American Indian Arts for my graduate degree, and while I was there I met a lot of Indigenous women who were putting their unique voices out there and bringing attention to an often-ignored crisis. Two of these writers, Toni Jensen and Terese Marie Mailhot, stood out to me with their commitment to addressing the reality of Missing and Murdered Indigenous Women. During a lecture, Terese spoke about the importance of naming these women, and she did. She mentioned Rose Downwind and Savanna Lafontaine-Greywind, two women who were murdered in the areas I’ve been living in. I wanted to write a story that spoke to the issue in a direct way, because this kind of thing isn’t new to us. I remember our teacher in sixth grade reading us excerpts from a long article in the Star Tribune about a teenage girl’s descent into drug addiction until her eventual death. That girl was a classmate’s sister. Ojibwe traditional beliefs celebrate women, and my own upbringing was somewhat close to traditional Ojibwe family structure. I was raised by a combination of my mother, grandmother, older sister, some aunts and others. We always had a big household, and you might say it was a bit of a matriarchy. I definitely had this in mind as I rendered Rose’s character, and I hope to give her more stories in the future. Aside from Nightmare Magazine, you were also published in Asimov’s. What made you interested in writing speculative fiction? The earliest I can remember taking a specific interest in speculative fiction was in eighth grade. Our English teacher assigned us two science fiction stories, “The Foghorn” and “There Will Come Soft Rains,” both by Ray Bradbury. The former we listened to an audio version, and the latter we read on our own. The experience of hearing the lonely plight of the creature stayed with me for years, and in college I sought out places that offered speculative fiction podcasts like Lightspeed, Nightmare, and Apex among others. (My current favorite is Levar Burton Reads.) Bradbury’s use of poetry mixed with a speculative element in the latter story impressed me then and now, and I might uphold that story as exemplary of my taste in speculative fiction stories in general. Put a poem in it and there’s a good chance I’ll enjoy it. Who are your favorite authors? What are some of your favorite works? From an early age I took a lot of interest in Clive Barker’s works; first his young adult novels, and later his Books of Blood stories. Last summer I started a re-read of those after Ellen Datlow mentioned some of them at Clarion West. A lot of them hold up just as well now. I’m always just a little excited when I see some news of Hellraiser remakes or other adaptations. My favorite author is probably Louise Erdrich. I don’t know if anyone has given her an endearing title yet, but I’d call her the Godmother of Native American literature. I’ve made a pledge to myself to attempt to read all her published works. Same for Octavia E. Butler, though I’ve only read her short fiction at the moment. In speculative fiction, I’m enjoying a lot of writing by Ann Leckie, Suzanne Palmer, Sarah Pinsker, Stephen Graham Jones, N.K. Jemisin, Natalia Theodoridou, and many, many others. I left Clarion West with so many short story collections, it’d be impossible to name things I’ve enjoyed in the past year here. 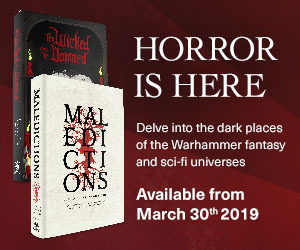 For a broad brush, I’m really enjoying many of Tor.com’s novellas, Ellen Datlow’s Best of Horror anthologies, and of course, John Joseph Adams’ Best of Science Fiction and Fantasy collections. I was twice in my life helped by Seanan McGuire’s “Every Heart a Doorway,” once after my first college graduation and once after attending Clarion West. I recommend it to anyone who is feeling the sort-of “deflated” fallout of really good times and the first little sparks of nostalgia set in. I also met Seanan last summer and heard her speak a few words about the story and where it came from, so it was interesting rereading it with that in mind. You have short fiction published so far. Do you plan to write novels as well? Also, what else are you working on? I have recently sold a novel to Counterpoint Press titled This Town Sleeps, which will be released in early 2020. It’s heavily influenced by my Ojibwe background. I’m currently looking into a few options for my next project. I plan on writing more novels in the future, including a sequel to my current novel, and possibly others set on the same reservation setting. Rose Watersong definitely has more stories about her waiting to be written. At the moment, I’m drafting out a science fiction story that mixes ideas of tribal sovereignty with the idea of leaving Earth. Whether Indigenous people who hold the earth sacred can ever truly be sovereign and in charge of our destinies here or if our chances might be better among the stars. What can your readers expect from you in years to come? I would guess further explorations of Ojibwe themes, but pushed as far as my imagination can go. My biggest love will always be fantasy, but I’m experimenting with science fiction and horror as well. Ideally, I’d like to write four books each centered on the Ojibwe teaching of the Four Hills of Life, but I don’t think it’ll be a chronological series, just very intertextual with a large mix of family stories.